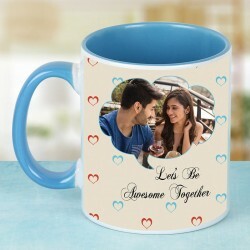 Shop and send charming coffee mugs online from among our most endearing collection of ceramic mugs available in vivid prints and patterns. We have impressive picks to make their every occasion unforgettable. 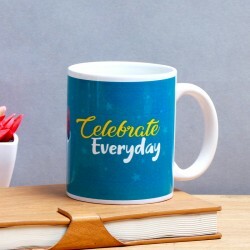 For a celebration that is classy yet trendy, send a quirky mug to your loved one. Order now! Planning to make a celebration extra special for your beloved? If you are clueless as to what to gift your loved ones on their special occasions, let us help you out! 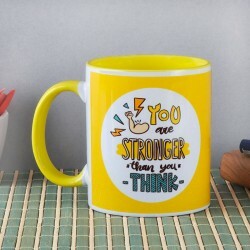 Right from a heart handle mug, classic printed mug to a quirky quote mug, we have everything you will ever look for as a gift for your dear ones. Eliminate the hassle of going from one shop to another in search of a perfect gift that's not only unique, but memorable too! 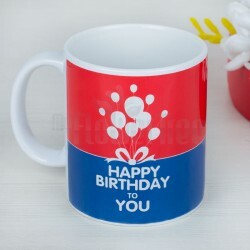 MyFlowerTree offers you an incredible online gifting portal to shop and send coffee mugs online for birthday, anniversary, wedding celebration or a special occasion such as Mother's Day, New Year, Christmas, Women's Day or any other celebration of theirs. 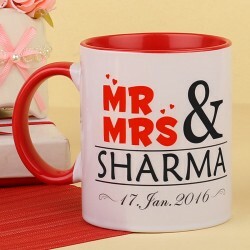 We also offer couple mugs online with Free shipping across India. 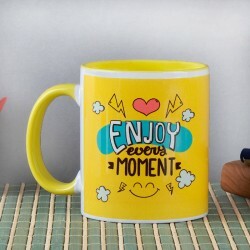 Simply buy a mug online from an array of printed coffee mugs available with us, and send it with a sweet message to add a personal touch. 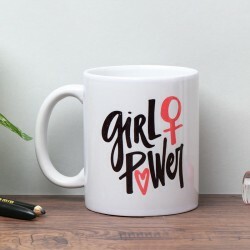 With a huge den of unique gifts in our kitty, coffee mugs are one among them. And when you stay away from your dear ones, it becomes imperative to send something that create unforgettable moments to cherish. Place your order for a fascinating coffee mug online in few simple steps from our online gift shop and get it delivered to your beloved's doorstep. We have personalised cushions for every relation. So be it your mom, sister, husband, girlfriend, wife, brother, dad or grandmother, we have gifts for them all! The exquisite designs and trendy patterns make it a cool gifting idea for any occasion you wish to send them on. If you are aware of your beloved's choices, then it won't be hard to pick a gift. 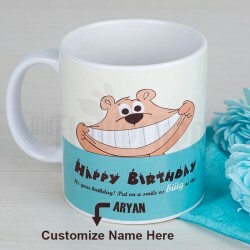 We have a wide selection of personalised photo mugs online for you to choose from and send to Bangalore, Chennai, Mumbai, Delhi or any other place in India. 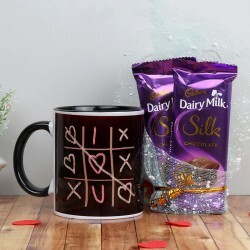 So just pick a cool and trendy ceramic mug for them to surprise them with something unique and lovely this time. We are sure it will be a true stunner in their celebratory time. 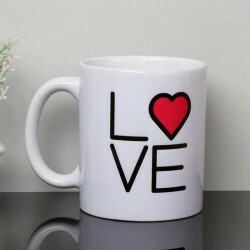 You can customize the mugs with a photo or name of your loved one and place it at the right spot. 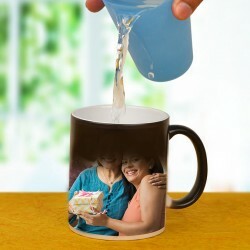 Make it memorable for them with this adorable keepsake to enjoy tea or beverage and grace their occasions. 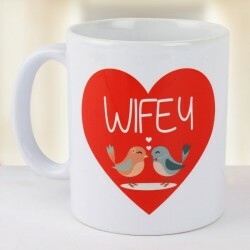 This beautifully curated coffee mug will be perfect to present to the ones who appreciate a sweet gesture. 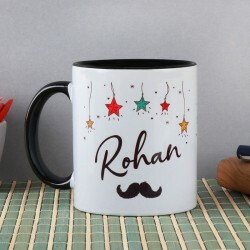 Order a mug online with us and sign in for an incredible gifting experience with us.